Anyone can mix a drink. But, even when using the same ingredients, a deft hand will take a cocktail from good to exceptional. The same can be said creating a hotel. 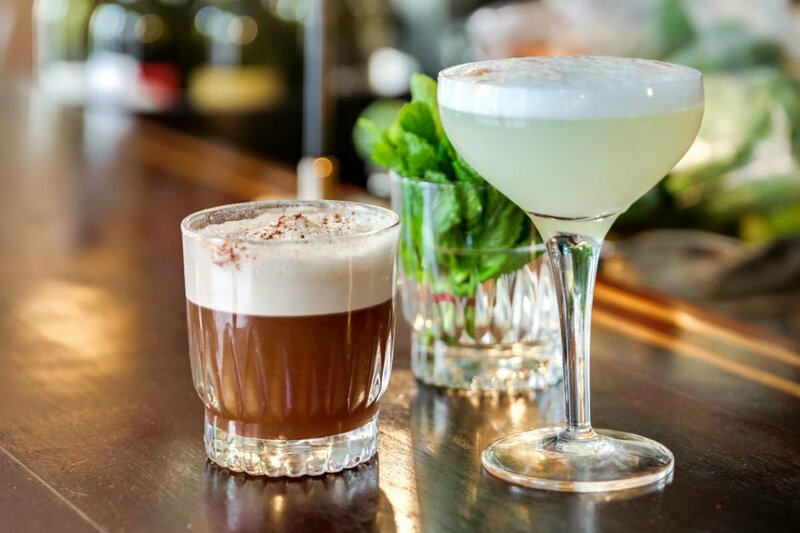 When the team behind the joint is the very one responsible for the best mixology in Paris, the results are bound to be smooth, well-balanced, bright, and a little bold. The Experimental Cocktail Club, a group of French friends making American-style cocktails at namesake bars in NY, London, and Paris, continue to hone their hospitality chops (well over a dozen venues and counting) with Grand Pigalle Hôtel. The boutique in South Pigalle is imbued with the neighborhood's stylish, hedonistic attitude. 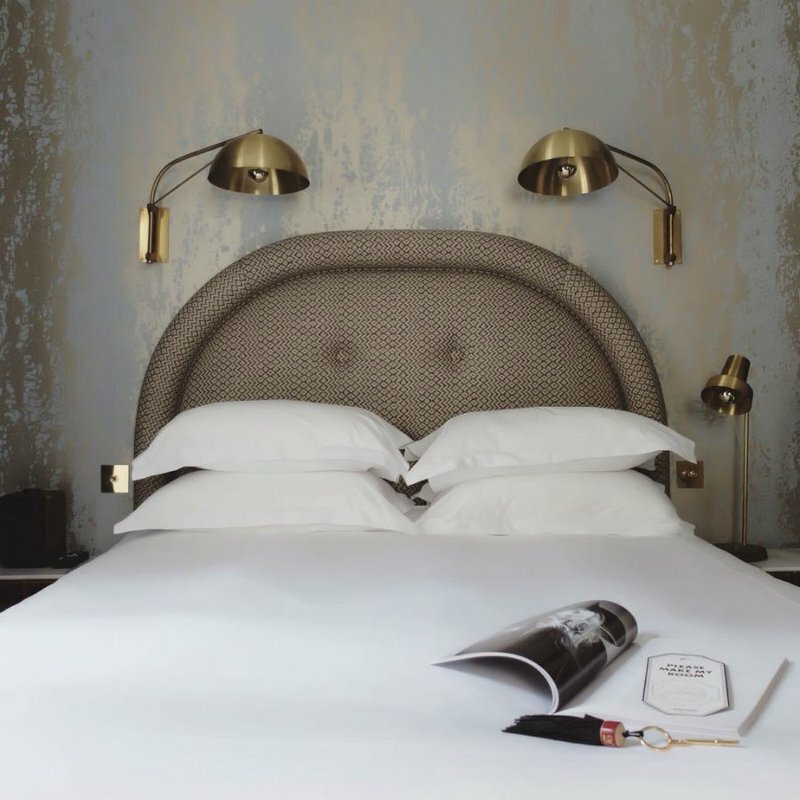 Designer Dorothée Meilichzon (who also designed the group's Henrietta Hotel in London) has mastered the art of creating warm, cozy haunts. She gave the classically Parisian building its deco-inspired layouts, metallic wallpaper, martini-glass motif carpets, festive brass light fixtures, and sumptuous patterned fabrics. Rooms are chic and charming. 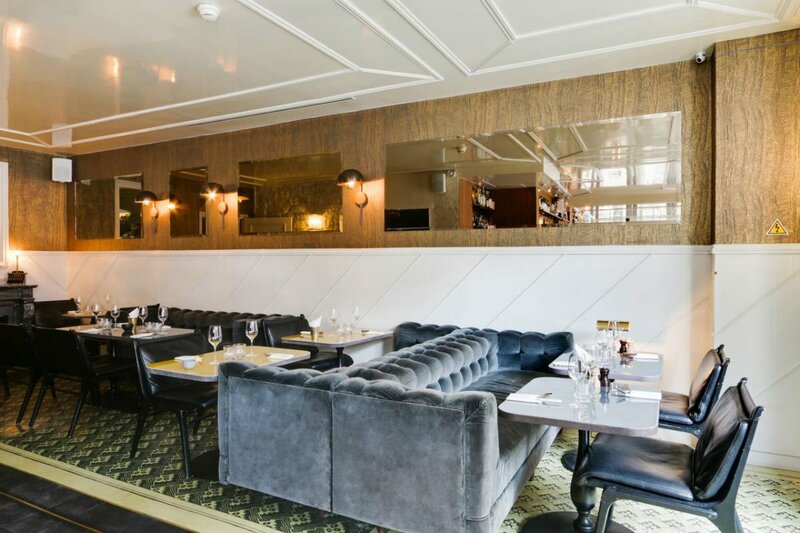 The restaurant is lively hub run by one of the city's most adored New Paris chefs, Giovanni Passerini, who gives the bistro an Italian accent. There's a bar — of course! 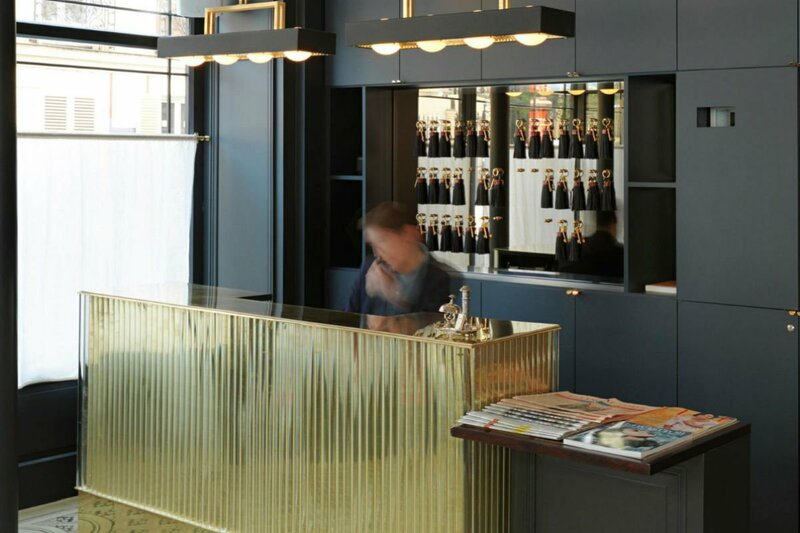 — serving small-batch, artisanal, top-shelf treasures and non-interventionist wines. Style: Festive and modern Parisian living. Standout Detail: The stylish reception area/bar/restaurant is an all day hang out spot. This Place Is Perfect For: Grown-up night owls with pied-a-terre fantasies (though families are permitted and there are interlocking rooms). Rooms: There are 37 keys in five styles (from jewel box Sopi rooms to suites on the top floor) with windows overlooking tree-lined Avenue Frochot, shiny retro tiled bathrooms, metallic wallpaper, and cocktail bars and carts (we'd expect nothing less) for in-house mixing. On Site: Citroën DS for pick-ups, laundry and dry cleaning, complimentary WiFi, and handicap-accessible spaces, rooms, and elevators. Food + Drink: Grand Pigalle Wine & Dine is the all-times-of-day Italian bistro. A gold-standard E.C.G. cocktail menu is served rez-de-chaussée (in the hotel lobby) as well as in-room for guests. Room service is 24/7. There are pre-mixed cocktails batched and bottled in the bedrooms too. Rates change seasonally and start at $200 per night. , or the and we can plan your trip for you. 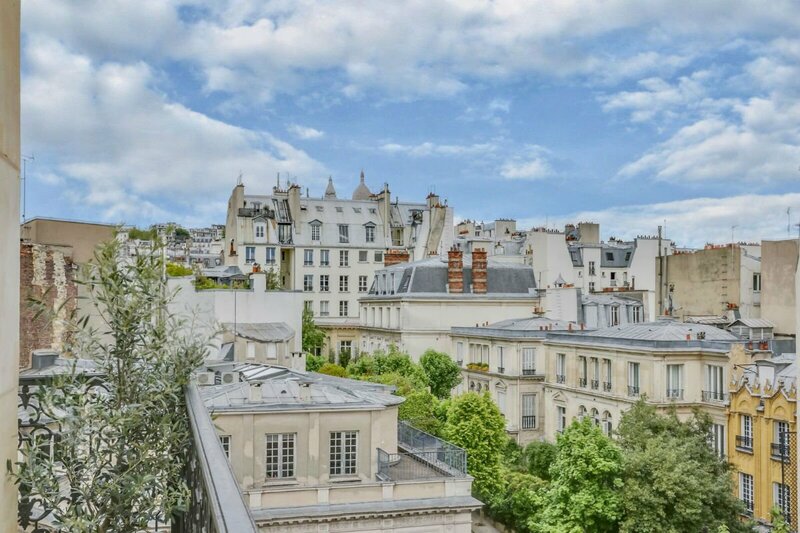 The hotel is walking distance from , , and , as well as Notre Dame and Arc de Triomphe. Rue des Martyrs is a paradise for picnic-goers (boulangeries, fromageries, charcuterie shops abound). Chic cocktail bars and boutiques are all over the place. See our . Restaurant (which originated in NYC) is around the corner. 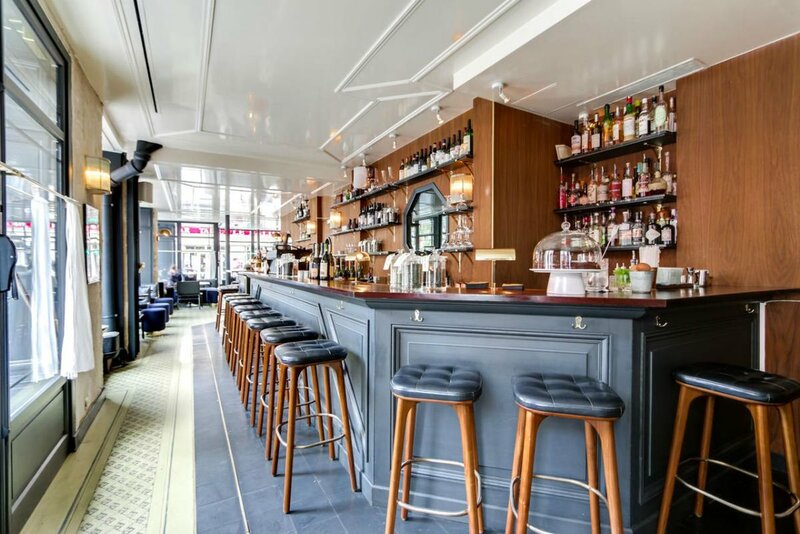 Complete the NY-Paris love-fest by checking out the Experimental Cocktail Club's New York in the 2nd arrondissement.